The band will hit the road starting May 11th in Austin, TX to June 1st in New York City and will be making stops in major markets like Los Angeles, Seattle, Chicago, and more. 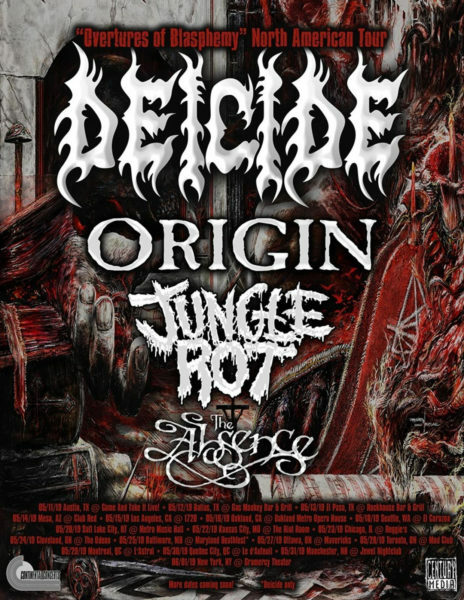 Deicide will be joined by Origin, Jungle Rot, and The Absence as support. 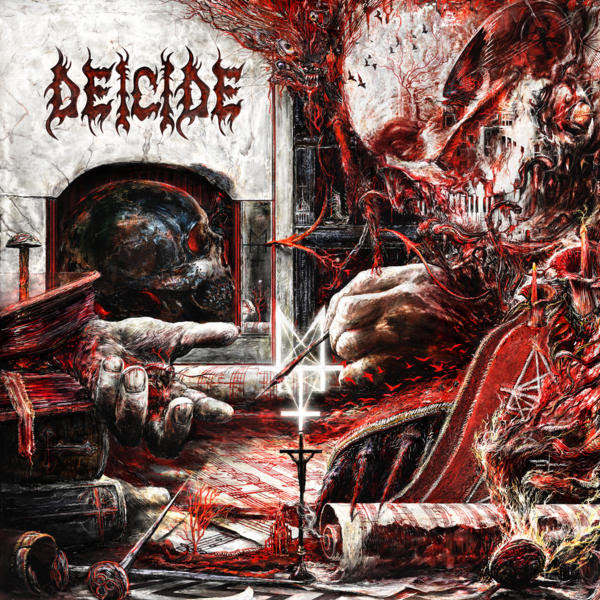 Deicide is also proud to announce their newest, permanent addition to the line-up, guitarist and longtime friend Chris Cannella. The band will be hitting the road in support of their fall 2018 release, Overtures Of Blasphemy, which was produced by Jason Suecof (Whitechapel, August Burns Red, Chelsea Grin) and Audio Hammer Studios. Overtures Of Blasphemy shows the band in top form. This is real US death metal: fast, blasphemous and evil. The album is available as CD, LP (with 180-gram vinyl), and digitally. Get the album on the format of your choice HERE!